Immigration Law | Hao Law P.C. Maintaining a legal status in the U.S. is essential for a foreign-born professional or entrepreneur to succeed in the new world of opportunities. Our immigration law practice is designed to assist the foreign-born professionals and entrepreneurs to get visas, U.S. permanent residence or citizenship in a time-and cost-efficient way. 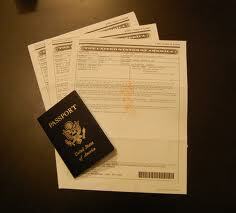 The first step to the U.S. is normally through a non-immigration visa (such as F, J or H visas). If the client is still in a foreign country, we analyze the proper visa types for the client and assist the client to get visa from a U.S. consulate; if the client is in the U.S. and plan to switch the visa type for one to another, we advise the clients on the proper ways to maintain a legal status in the U.S. and represent the client before the USCIS for visa transfer/extension petition . When the client get a job offer and plan to apply for a H-1 visa, we provide services in the LCA application, job ad posting and USCIS phase. For a certain client, there may be several different ways to obtain the permanent residence. One of our tasks is to guide the client to choose the most reliable and efficient way to get the permanent residence. After reviewing the potential client’s background and experience, we would make the suggestion for the client to go through one or more of the following pathways for permanent residence (1) EB-1A (aliens with extraordinary ability (2) EB-1B (outstanding professor or researcher) (3) EB-1C (multinational executives or managers) (4) EB-2 NIW (National Interest Waiver) (5) Perm EB-2 or EB-3 (6) EB-5 investment immigrant and (7) other ways (such as through family support). Once the client decides to retain us, we will instruct the client how to collect and produce necessary documents. We then prepare the petition package and submit the petition to the USCIS. Together with the client we will respond to any requests made by the USCIS for further evidence. A permanent resident may choose to become the U.S. citizen after meeting certain requirements. We assist our clients to evaluate their eligibility of the citizenship, and represent them before USCIS. We also provide services in assisting the petitioner to apply for the immigration of his/her relatives such as parents, spouses, children, and siblings. The contents in this website are for informational purposes only. They should be regarded as advertisements and are subject to the regulation of Texas lawyer's rules of ethics. The hiring of a lawyer is an important decision that should not be based solely upon advertisements. Please contact us to know more of our ability to handle your case.